The mission of All Brite Cleaning & Restoration, Inc. is about & will continue to be about providing valued and quality services, building relationships and having cutting edge technology and products for clients who demand an outstanding service experience. To be an exemplary business that provides outstanding service to our clients, community and region through innovation, education and integrity. To be central NH’s premium restoration and cleaning provider through constant improvement of our employees, procedures and processes which will result in increased value for all parties involved. Rob is a strong believer in empowering All Brite employees through certifications by the cleaning and restoration industry associations such as the I.I.C.R.C. (Institute of Inspection Cleaning & Restoration Certification) and R.I.A. (Restoration Industry Association). The certifications require both hands on training and written exams. Rob serves on the board of directors of the Laconia Rotary Club as well as chairs two of their fund raising events. He was awarded the coveted Paul Harris Fellow Award for outstanding service to his club for 2014 to 2015. All Brite sponsors two blood drives a year for the American Red Cross in the months of January and August for the past five years. 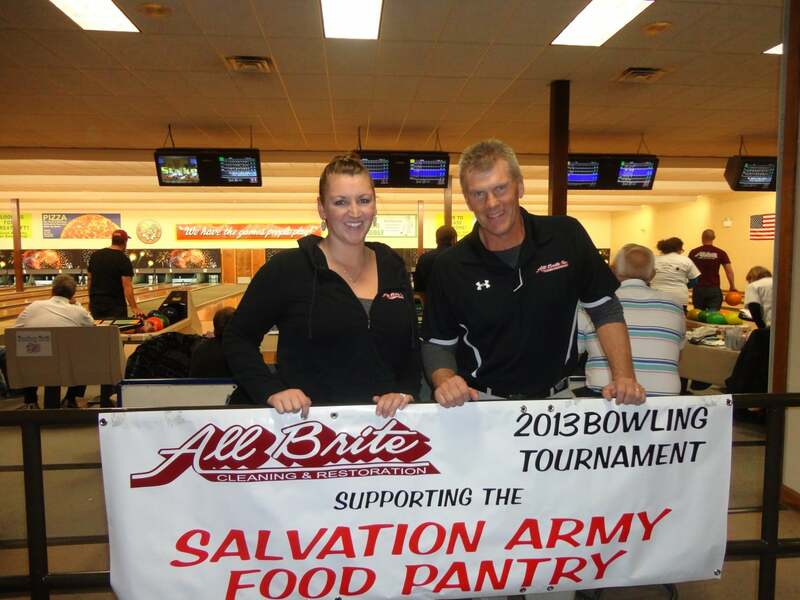 All Brite also supports the local Salvation Army in two ways. We sponsor a Bowling Tournament at Fun Spot in Laconia to raise funds and we host a food drive where All Brite matches all donated food items to help with their food pantry inventory. These events take place in November and December every year. 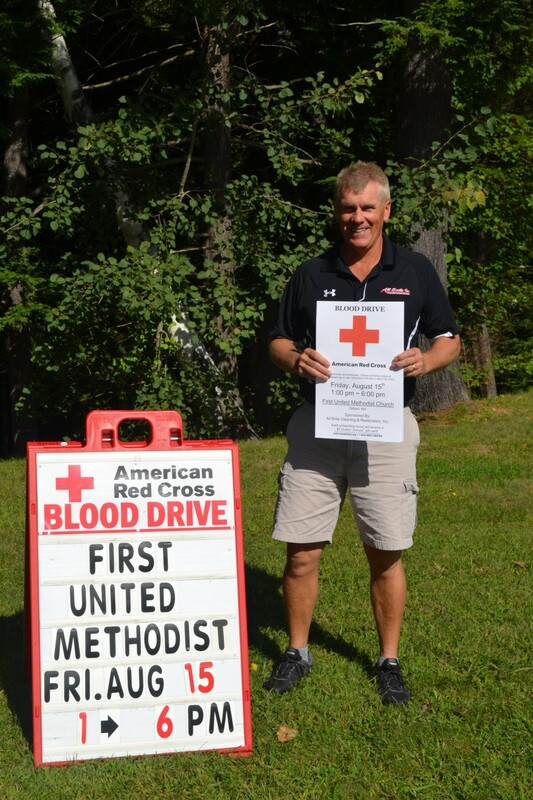 Rob serves as Chairman on the Administrative Council for the First United Methodist Church of Laconia-Gilford six months out of the year. In 2005, Rob entered the “Better Your Best Contest” sponsored by Joe Polish and Piranha Marketing. The contest focused on marketing, financials, personal reflection and accomplishments. The contest compared a 3-6 month span comparing the current year with the previous year to see how that company had implemented processes and improved their company. All Brite and Rob were chosen as the number one company by the panel of judges and was awarded Joe Polish’s SLK 350 Mercedes Benz Convertible and the title of Ambassador & Spokesperson for Piranha Marketing for 2006. He traveled around the country speaking at various seminars and retreats sharing marketing efforts and ideas. ALL BRITE CARES ABOUT OUR COMMUNITY! All Brite Cleaning owner Robert Stewart hands his daughter Krysten boxes of food as he and numerous employees deliver over 3,000 food items for the Salvation Army in Laconia Wednesday. This is the fourth year the company has set up a donation station at Market Basket in Tilton for donations. In addition to the $1,068 donated to the Salvation Army from the bowling tournament, we were able to donate over 3,000 units of non-perishable food items with help from our generous clients and neighbors! To read more, visit The Citizen of Laconia.